While there are a number of different diet plans that tout various eating style, clean eating continues to grow substantially in popularity. Individuals who are thinking of eating clean should learn the ins and outs before making drastic dietary changes. According to Fitness Magazine, clean eating focuses on the inclusion of foods which are minimally processed and refined, and therefore are close to their natural form. As opposed to other eating styles, clean eating does not restrict certain nutrients or food groups, but instead, embraces the consumption of "real" foods. Pesticide-free and organic foods are also recommended over those which contain hormones or added chemicals. Before starting to eat clean, be sure to familiarize yourself with the pros and cons of this eating style. In addition to promoting weight loss, individuals who eat clean may improve their long-term health. Fox News reports that a clean diet may decrease the risk of developing type 2 diabetes and cardiovascular disease. Choosing organic foods can benefit the planet overall by reducing pollution, conserving water, and using less energy, notes Help Guide. The benefits of clean eating are substantial but it is important to note that the drawbacks are also considerable. Family Gone Healthy notes that clean eating is not only expensive due to the emphasis on fresh, organic foods, but can also be fairly time-consuming. Shopping for, preparing, and cleaning up after meals that are made in a clean eating style can take considerably longer that pulling together meals consisting largely of convenience foods. For optimal results when it comes to clean eating, recognize which foods to include in your diet, and which to avoid. 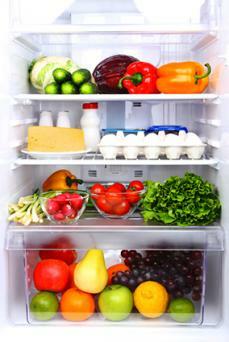 WebMD identifies certain foods as those which should be avoided when eating clean. It's safe to assume that the more processed or artificial a food is, the less likely it is to fit within the realm of clean eating. Avoid highly processed foods and foods with chemical additives and preservatives. Splenda, Truvia and other artificial sweeteners are to be avoided. Sugary and/or alcoholic drinks aren't compatible with clean eating. Saturated fats and trans fats should be avoided. Choose foods that are as close to their natural state as possible. Instead of eating a sandwich made with white bread, choose whole grain bread. Select fresh, organic fruits and vegetables instead of frozen or canned alternatives. Choose leaner cuts of meat and those which do not contain antibiotics or hormones. There is no doubt that clean eating touts a number of health benefits but that is not to say that the eating style is for everyone. Individuals who are thinking of eating clean may find that it takes longer to shop for, prepare, and clean up after the meals that they make. Be sure to talk with your healthcare provider before making a drastic change to your current diet. Depending on your individual health history, a more specific diet plan may be recommended.